UPDATE: Ah, it’s spring again, and that means it’s time for the Great Plains Theatre Conference in Omaha, where many established and emerging playwrights and other theater professionals from the far corners of the U.S. gather their collected energies for the theater arts. As a journalist who interviews some of the guest artists for the conference, which this year is May 28-June 4, I enjoy dropping the name Megan Terry and mentioning that she lives in Omaha. It never fails to elicit a response: first, affection and admiration for the work of Terry, a great American playwright; and then surprise and delight that she lives in the host city for the conference. What follows below is an article I did five or six years ago on Terry and how and why she came to resettle in Omaha from New York and what she did here. I only attended a couple productions by the Omaha Magic Theatre, an avant garde, experimental stage company led by two women who against all odds made their ground-breaking theater a success in Omaha, Neb. One of the partners, Jo Ann Schmidman was from here and made her reputation here with the theater. The other, Megan Terry, made a name for herself in New York long before joining Schmidman in Omaha at the Magic Theatre. They closed their theater some years ago and the two women who created such a distinct niche for themselves seemed in danger of fading into obscurity when I caught up with them and wrote the following story, which appeared in The Reader (www.thereader.com). Basically, I wanted to capture in print just how extraordinary what they did was and just how compelling they are as individuals and as partners. Even in the counter-cultural maelstrom of the late 1960s, the idea conservative Omaha could support an experimental theater with a strong feminist, gay/lesbian bent defied logic. When native Jo Ann Schmidman founded the Omaha Magic Theatre in 1968 as a center for avant garde expression in the Old Market, she followed her muse. The fact she was barely out of her teens, between her sophomore and junior years as a Boston University theater major, only added to what many must have regarded as folly. That’s not how she saw it though. Instead of resistance, “what we discovered was quite the opposite…open-minded people with a work ethic,” said Schmidman, an Omaha Central grad weaned on local children’s theater, the work of an adventurous wing of the Omaha Community Playhouse and a summer studying in Northwestern University’s prestigious theater program. “The pioneering spirit and the quest to work with your own hand, out of your own soul, is an Omaha, a Midwestern trait and that’s exactly the kind of theater I was interested in doing. It didn’t have anything to do with being radical, it had to do with being homemade and what is inside of people,” she said at a Great Plains Theater Conference (GPTC) panel. “It wasn’t about shocking people, it was about giving them a vehicle to reflect, a way to understand one’s self better, to go on a spiritual journey. She originally opened OMT as a summer enterprise. Grad students from Boston U. rounded out the company. The first season was heavy with plays by European absurdists Genet and Brecht. American works came later, including The Tommy Allen Show by Megan Terry. The paths of Schmidman and Terry first crossed years earlier. “At this same time were all the protest movements, the marches. There was a huge political-social-cultural revolution. The new music, the new art, the Action painters and Abstract Expressionists, were at their zenith. All these things were converging,” Terry remembered. “I’d go to Washington Square and hear Bob Dylan and Joan Baez before they were famous. There were about 35 marvelous playwrights all working in New York City and we could all walk to each other’s theaters, so it was like, Can you top this? We just played off of each other. Terry churned out plays at an amazing clip, at one point having a new one produced every month. Edward Albee co-produced a double bill that included her Ex-Miss Copper Queen On a Set of Pills at the Cherry Lane Theatre. She was a founder of the legendary Open Theatre, an experimental company that produced her work, eventouring it nationally. Other Terry plays were performed at the chic La Mama. Another at the Circle Rep. Still another at the Actor’s Studio. Along with Sam Shepard, a fellow founder of the Open Theatre, she was identified as one of America’s most promising new playwrights. Her work is of its times, yet timeless, reflecting our culture’s struggles with violence/war (Viet Rock), spouse/child abuse (Goona, Goona), objectification (Objective Love), prison life (Babes in the Big House), underage drinking (Kegger). A key facet of her work is transformation, which bends roles, even genders. Themes predominate more than characters in her metaphorical plays. Terry faced a transformation of her own when the NY theater landscape changed in the early ‘70s. The Open Theatre disbanded. Finding venues for her work proved difficult. Flush with the fervor of feminism, she chafed at the thought of deferring to male producers or playwrights anymore. “At a point I worked with very strong men in the ‘60s. Joe Chaikin, Tom O’Morgan, Peter Feldman,” said Terry, who developed Viet Rock in a Saturday Open Theatre workshop that also produced Hair. Rock was perhaps the first major work of art to deal with the Vietnam War. When Chaikin and Feldman “took it (the play) away from me,” she said, “a big confrontation” ensued. Aptly, Terry’s and Schmidman‘s paths crossed in theatrical fashion. “I met her [Schmidman} in Boston when I was asked to come to write the bicentennial celebration for Boston University’s theater school” Terry said. While in Bean Town she joined the throng gathered for a protest on the Boston Common. Out of the crowd Terry estimates approached a million people, the two found each other. “I don’t go to rallies but I went to an anti-war rally where I met her by mistake, doing guerrilla theater,” Schmidman said. “I found her to fix my tin foil mask.” “Her mask had come off and I helped her with it. It’s just absolutely true,” Terry said. Schmidman admired Terry’s work. Indeed, she said, “I had the top of my head blown off” by the work of Terry and her cohorts. The two got to know each other when Terry later went to Boston U. to workshop her Approaching Simone. Terry cast BU theater students. None of the perky, blonde, blue-eyed, well made-up girls fit what she wanted. So, “I designed an improvisation where one person had to stand off all of the rest of the kids in the school,” she recalled, “and Jo Ann had the power to stand them off. I said, ‘Ah ha, I can write this play around her. There’s the power I’m looking for.’’ Jo Ann WAS Simone. The play ran off-Broadway at Cafe La Mama, becoming the first student-cast production to win an Obie. 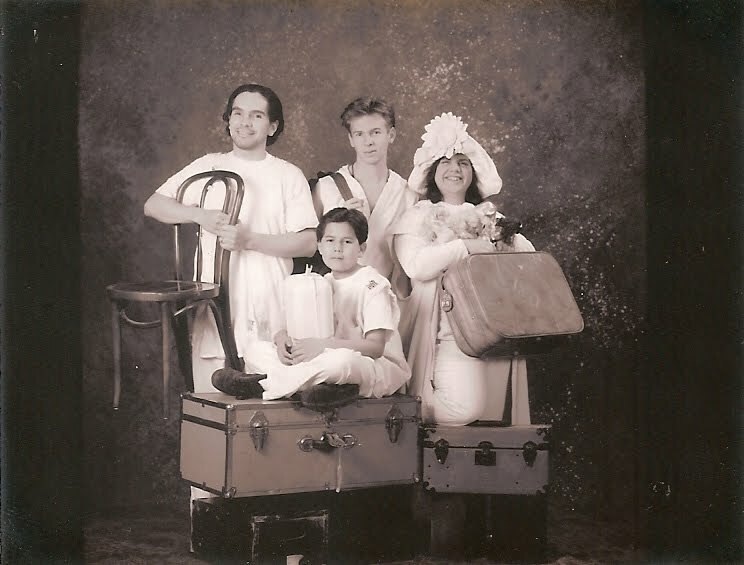 Their relationship grew when Schmidman toured with the Open Theatre, “It was a magic, perfect fit,” said Schmidman. 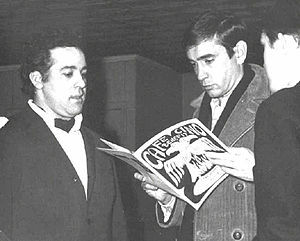 Terry visited Omaha in 1970 to see Schmidman’s production of the Tommy Allen Show. With some prodding, Terry set her sights on this place, moving here in 1974. “When the Open Theatre closed and I saw what Jo Ann was building here,” Terry said, “I could easily make that transition. She’s a great director.” Still, it was a huge leap of faith. “She was leaving where one made it in the theater. Plenty would not leave New York City, period. But for Megan I never heard a second thought,” Schmidman said. The difference being in Omaha Terry didn’t have to take a back seat to anyone. It’s why leaving the center of the theater world was not such a hard move. “I always felt like I was camping out in New York as it was,” Terry said. “I always felt like it was temporary. The feminist movement freed me from being stuck in New York and being in that life.” She said she ended up being far more productive here. As Schmidman did before her, Terry found the possibilities for theater here “wide open.” Terry’s presence lent OMT instant credibility. Her career hardly suffered for the move. Her prodigious output (60 plays) continued. Her work has been taught or performed across North America, Europe, South America and beyond. The theater became a year-round venue for the most mind-altering work. It changed locations a few times before settling at its present downtown site on 16th street in a former department store next to King Fong’s. More than two decades before the Blue Barn Theatre opened, these women were doing Witching Hour work that made electric cool aid acid trips seem tame. Terry and Schmidman recently sat down for interviews at the theater, an open, tiled space with a stripped-down ‘50s-vibe. They are a study in contrasts. Terry has the pale, soft, rounded features and sweet, doe-eyed look of an ingenue turned mature matron. Schmidman is a slim, dark-featured, hard-angled figure whose severe face and brooding demeanor signal intensity. Little Bo-Peep and Gothic Queen. Both exude a manic fervor on low simmer. They listen intently. They laugh easily. Each interrupts the other to complete a sentence, the way longtime companions do. The two ceased producing at OMT a decade ago. A new group of artists use the space and the name today, inspired by what the two women did to push theater’s boundaries. Terry and Schmidman long intended handing over the OMT to a new troupe. Groups came and went. None stuck. In 2004, fashion designer Julia Drazic and a coterie of designers, visual artists and musicians hit it off with the women and took over the space. The resulting multi-media, multi-layered shows defy categorization. Sound familiar? Drazic and Co. realize the heavy legacy they carry with the OMT name. A generation apart, Terry and Schmidman each studied and rejected old theater concepts in favor of a freer model unbound by, in their minds, rigid constraints and assumptions. While Schmidman’s a militant adherent of independence and a harsh critic of conventionality, Terry’s more politic. With Schmidman as artistic director and Terry as resident playwright, OMT showcased works by playwrights thick in the canon of the American avant garde: Ron Tavel (Kitchenette), a collaborator with Andy Warhol on the Pop artist’s early narrative films; Paula Vogel (Baby Makes Seven), whose play How I Learned to Drive won a Pulitzer; and Obie and Pulitzer winner Sam Shepard (Chicago). Guest directors helmed some shows. Visiting playwrights-directors did workshops. It was all about change and challenging the status quo, even the very definition of theater. Everyone contributed ideas to a play’s development. Everyone participated in its performance. Devoid of the usual barriers, like a proscenium stage, audiences, actors, stage hands, words, sets, music, costumes, sculptures, movements and projected images became equal elements in total, multi-media, sensory immersions. Terry’s transformational style, in which actors interchange parts or morph into objects, was aided by soft sculptural costumes. Crew handled lights, music and sets not behind a curtain or in shadow, but out in the open, for all to see. Same way with actors changing costumes. It was part of the experience, as in the spirit of the ‘60s New York “happenings” Terry witnessed. “In those days our object was to push previously established ideas of what theater was in new directions,” said Schmidman. “To create absolutely contemporary theater…in other words, to create theater that had to do with our lives, living and working in Omaha, Nebraska, because that’s what we were doing. So it was a pretty lofty task we set for ourselves. It was to reinvent what does theater look like, what does it sound like, what is it. OMT fit in well with the Old Market’s head shops and art galleries. It had the entire building that contains the Passageway. The company lived communally there and in a loft across the street, with Terry cooking big stews from French Cafe refuse. The theater became a self-supporting operation. Members did not need to take second jobs. By taking risks rather than playing it safe the women made OMT a successful, recognized home for contemporary theater. The two women’s imprint is undeniable. 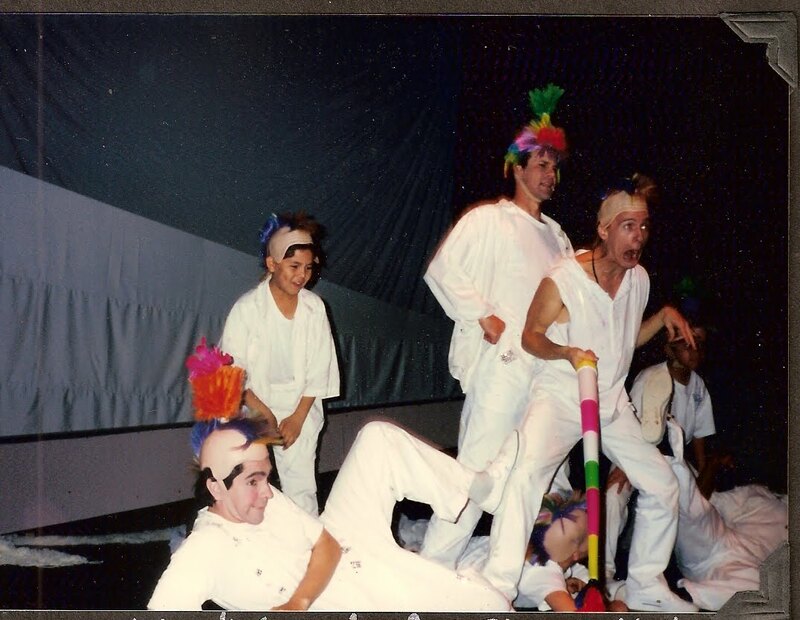 As if being an experimental theater were not enough, OMT dared to be a “‘gay,’ ‘radical feminist,’ ‘lesbian’ theater‘” on top of it, said Rose Theatre artistic director James Larson. “None of that existed in Omaha before.” Given that, he said, “it is extraordinary the Magic Theatre could survive for 30 years.” He added it’s “impressive” OMT could command large grants and he admires how “resourceful” Schmidman and Terry were in replenishing the company over time. OMT built loyal followings for experimental work that proved accessible. “Once the people saw the work, whether they knew what they were seeing or not, they responded to it,” Schmidman said. One reason may be the extensive research Terry did for “the big community pieces” OMT did, like her Kegger, that dealt with under age drinking. Once they had a hit, they kept it in front of audiences for a steady cash stream. OMT toured Kegger for three years, nearly surviving on its proceeds alone. Q & As usually followed shows. Often, the theater invited scholars or experts to lead discussions related to the themes/issues raised. Audiences weighed in, some testifying, as in church, to how the plays resonated with their lives. Terry and Schmidman set a high standard. Its 30-year run only ended, in 1998, when Schmidman and Terry, partners in life and in the theater, reached a point of exhaustion. The two share a house together in south O. The theater’s old touring van is parked on the street. The house is obscured by the van and an overgrown garden in front that seems an apt metaphor for two artists whose wild, creative vines are intertwined. “When we closed we were playing to full houses every night,” Schmidman said. Even if she and Terry were weary, why walk away from such a good thing? “It’s just, there are other things to life. There are other art forms, like living,” Schmidman said. Besides, she said, it just never got any easier, especially the struggle to win grant money. All the late nights of preparing mountains of paperwork for grant applications and then waiting on pins and needles for a yes or no wore on them. “The audiences were great, the work was great, but getting the damn money was as miserable as ever,” Terry said. 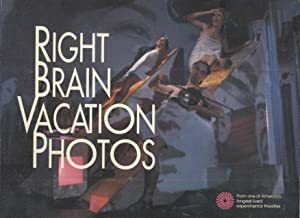 They closed shop to archive OMT’s and Terry’s remarkable bodies of work, all of which is housed in the Bancroft Library at the University of California at Berkeley. Thirty years of original, groundbreaking work unseen before here, some seen for the first time outside NY. Tours across Nebraska, Iowa. All “musicals,” not with familiar show tunes, either, but original, contemporary, music. “The biggest myth of the American theater is people will only go to a show if they can leave the theater humming the tunes or they’ll only go to something that sounds like something else. 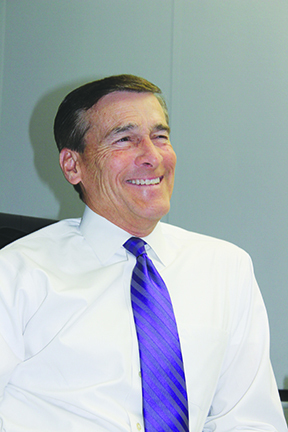 That has not been our experience,” Schmidman said. The Magic made its mark far beyond Omaha, too. Terry and Schmidman collaborated on the lyrics and book, respectively, for Running Gag, staged as an official selection of the 1980 Winter Olympic Games in Lake Placid, NY. In 1996 the Magic represented America in the Suwon Castle International Theatre festival in Suwon, South Korea, just south of Seoul. Terry, Schmidman and Co. performed Star Path Moon Stop outdoors before a crowd of some 5,000 squatting spectators. “It was fabulous,” Schmidman said. “They come from a shamanistic tradition, so they really got into our kind of theater,” Terry said. “They embraced it because it’s quite like their traditional, very broad, emotional, spectacle theater,” Schmidman elaborated. “Yes, their theater is very episodical and relies on fabulous stage effects,” Terry added. The festival appearance followed workshops OMT did the year before in Seoul. The theater traveled abroad once before, when they toured Body Leaks at a women’s fest in Canada. From OMT’s inception, Schmidman surrounded herself with collaborators drawn from many disciplines/backgrounds. Rarely did anyone have formal theater training. There were painters, musicians, poets, hippies and freaks. Among the noted artists to work with OMT were painter Bill Farmer, musicians Jamel Mohamed and Luigi Waites and composer John Sheehan. Sora Kimberlain arrived as a visual artist and ended up doing set design, acting, writing and directing. EDITOR’S NOTES: While Schmidman and Terry closed the original OMT a decade ago, they’re hardly inactive. Terry still writes, accepting commissions from theaters like The Rose in Omaha. Schmidman no longer directs but she consults/mentors the new OMT and other young theater artists. 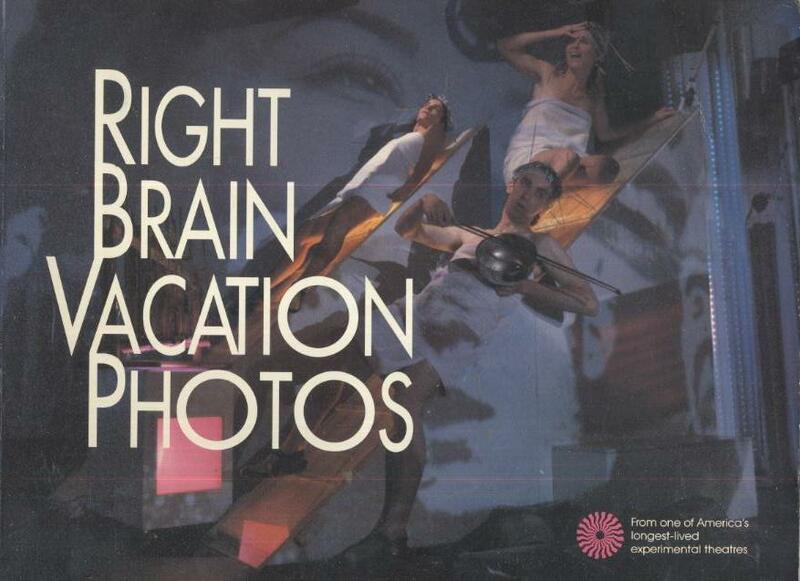 In 1992 the Magic Theatre produced a book, Right Brain Vacation Photos, that serves as a great OMT primer, the American avante garde and experimental theater. Look for it at your local library or on Amazon.com. A thoroughly informative article that allowed me to catch up on Megan Terry, whom I knew in her Mount Vernon and Seattle days and have lost touch with. Pretty inspiring work, well documented. Thanks. What year did the Scoprio Rising Theatre win the Drama Critic’s Award? A huge thank you for the account of OMT. Terrific. Insightful, Thorough. Magnificent. I met Schmidman and Terry in the ’80s when teaching at a community college in Iowa. talent, and it was so enjoyable to read of them again. Thanks so much for writing. As often happens in the life of a journalist like me whose work originally appears in small publications with little reach, I rarely hear from anyone, subjects and readers alike, when a piece like the Omaha Magic Theatre story appears. Thanks to the Web, I am getting far more responses now to this story and others like it then I did when they were first published. It’s gratifying to know when something you’ve written resonates with someone like you. Thanks for taking the time and making the effort to share this with me. I was in the original Tommy Allen Show which Megan wrote for us at Immaculate Heart College in 1969. Our theater group improvised the play under Megan’s tutelage and brilliant direction. She was awesome. I would love to be in touch with her 47 years later. Thanks so much. Thanks for remembering and checking in. 47 years does go back. I remember working with scenes of Megan’s “Viet Rock” at Long Beach State College about that time –an unforgettable experience. May all be well and all connected not forget.